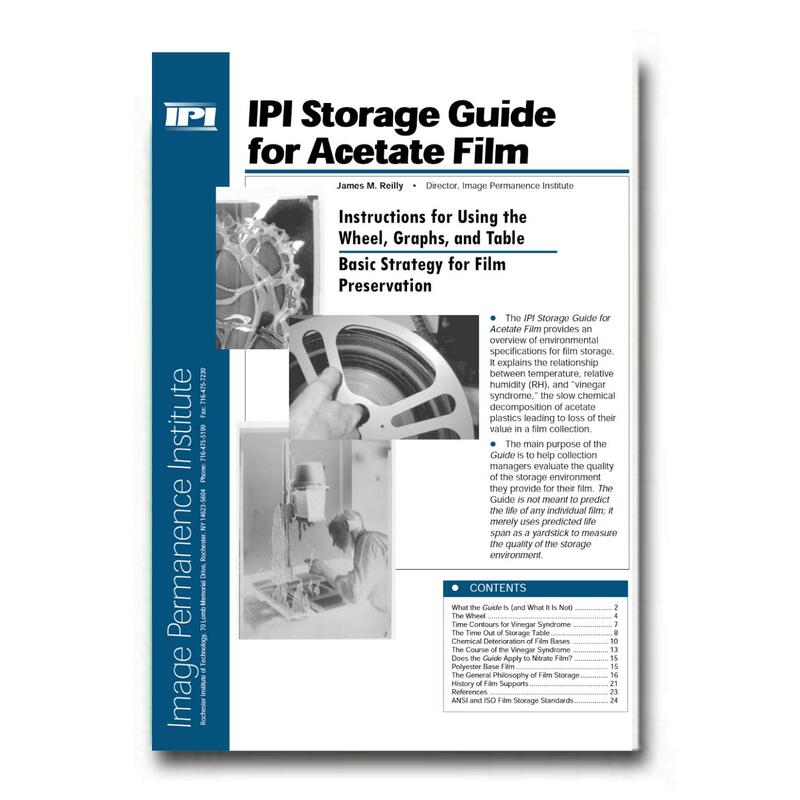 The IPI Storage Guide is a four-part publication that explains the effect of temperature and humidity on the rate of film base degradation. 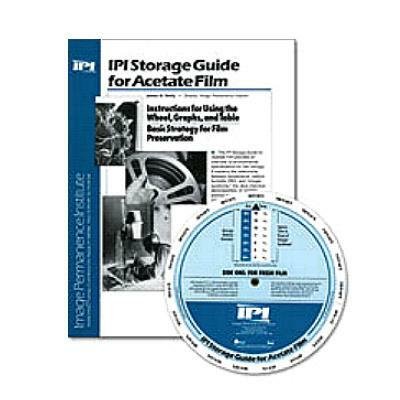 It is an important tool for evaluating and planning storage environments for all types of acetate base film, cinema film, and microfilm. 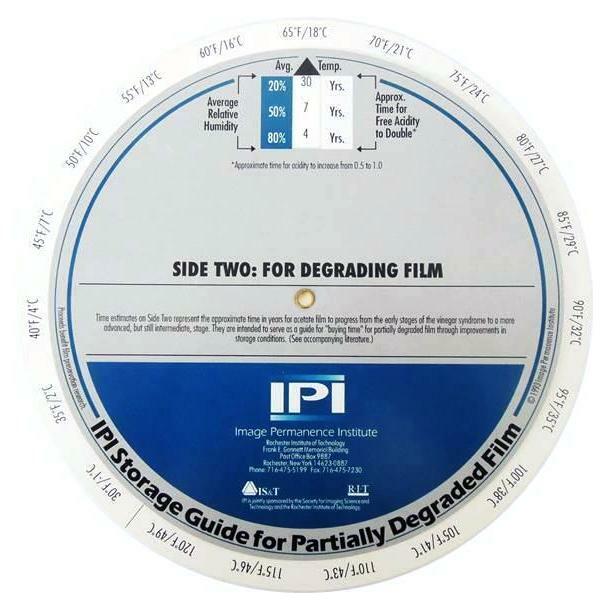 The 24-page booklet discusses environmental specifications for film storage and explains the relationship between temperature, relative humidity, and the time it takes for “vinegar syndrome” (the slow, chemical decomposition of acetate plastics) to begin to affect fresh film. A valuable collection management tool!